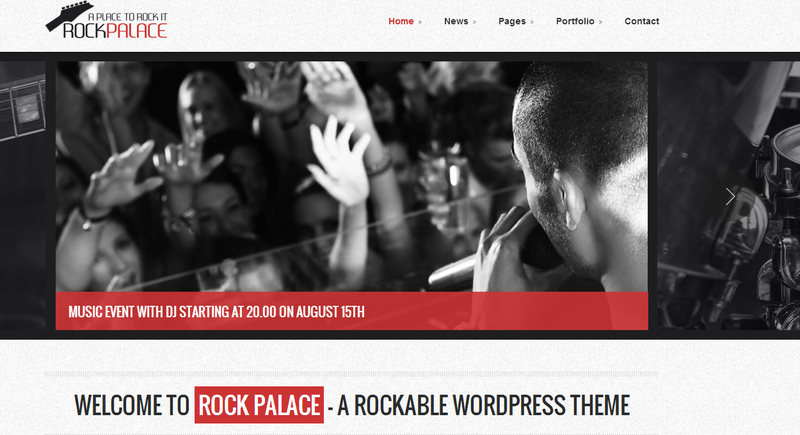 With band WordPress themes, you look for different types of designs that will catch the eye of band members. Because of this, you need themes that incorporate many approaches to how they present band information, band events, tour dates, latest songs, videos going viral on YouTube and that all important merchandise. Here are the best band themes that we could find. 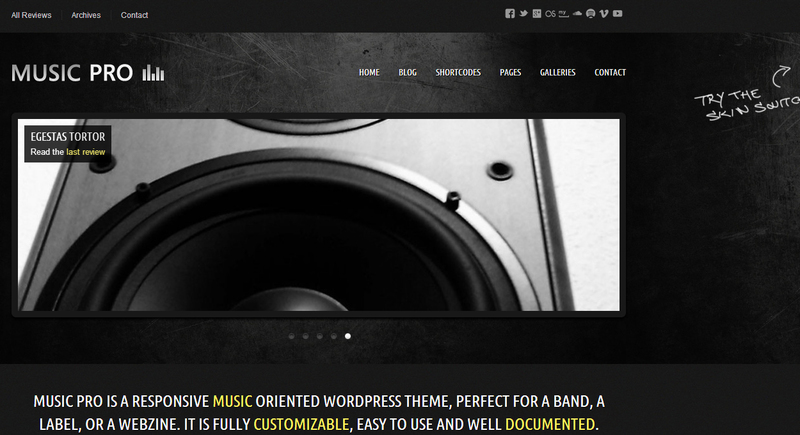 Music Band is the clean and responsive music wordpress theme specially designed for the musicians and music bands to setup their website with an ease. It has many advanced features and plugins that are responsible to build the website that acts as the perfect platform for the music bands. 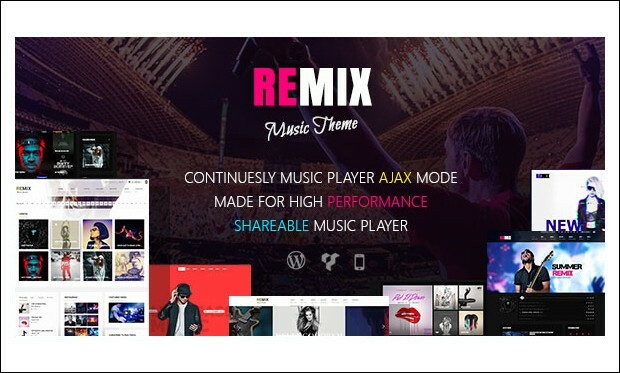 Remix is the modern and clean music band WP theme that is designed keeping the musicians and music bands in mind. 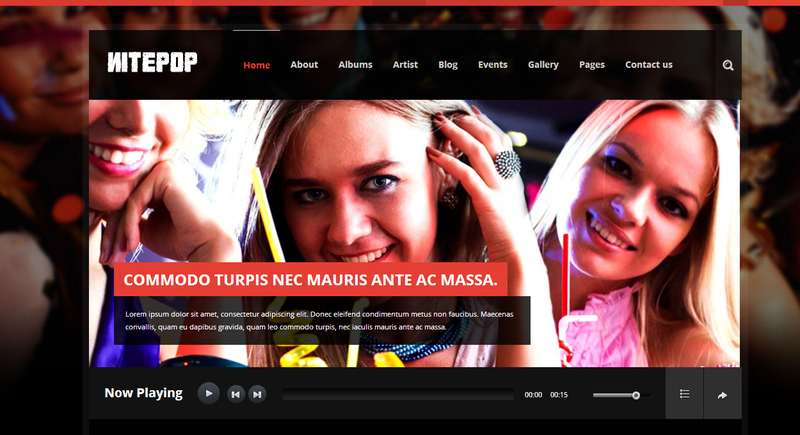 It has some of the best features like music sharing, Multipage + One page theme with AJAX technique and with responsive layout built using 12 column grid system. 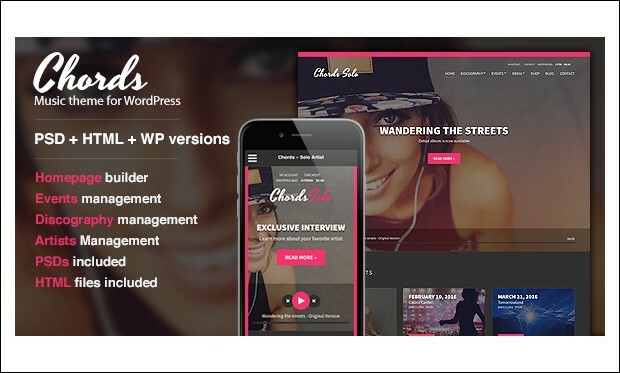 Chords is the responsive and clean WP theme that has many advanced features that help in the creation of any type of entertainment related website. It is designed for music bands, entertainers, solo artists, bands, event organizers, radio stations and all kinds of performers. 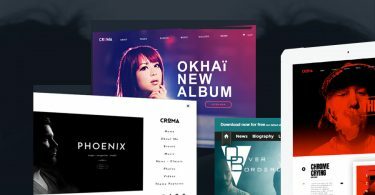 Colibri is the clean and responsive wordpress theme for Singers, DJs, Bands or any other busy musician. 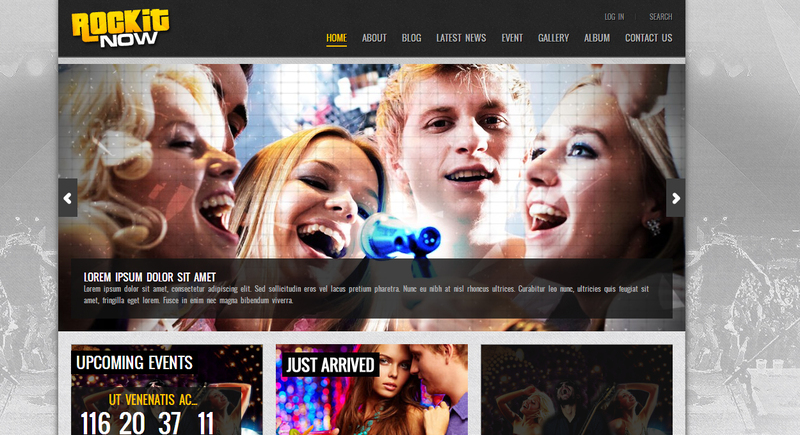 It has many advanced features and powerful plugins that help in creating the website for audio and music band websites. It helps in creating the music website that makes your website stand out of crowd. 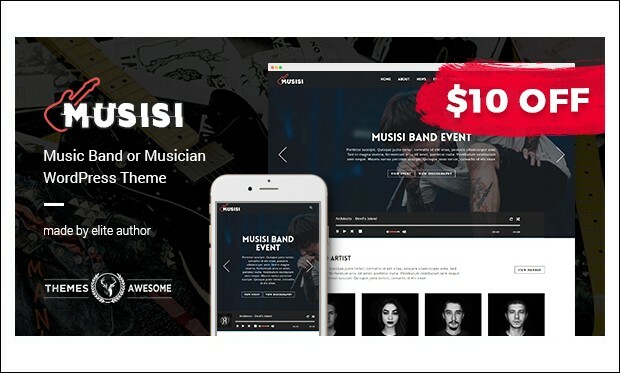 Musisi is the creative and elegant responsive band and musician wordpress theme that is suitable for music bands, dj’s, singers, artists, radio, events and entertainment websites. 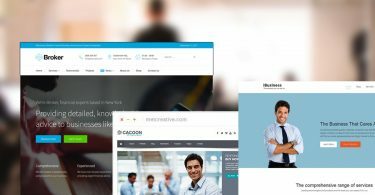 It is feature rich and bundled with customized theme and color options to create the best website. 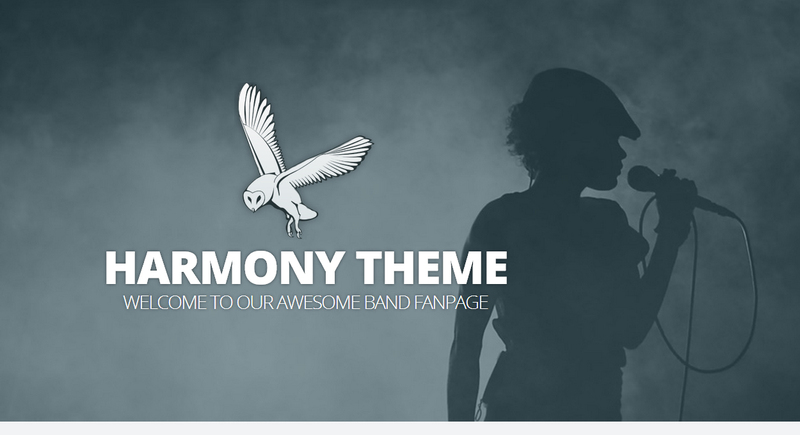 Harmony is a custom-made blog theme for bands. It has some very attractive background imagery, a music track player and a play-list that can toggle which track is played. The band’s swag or merchandise can be sold via the site too. 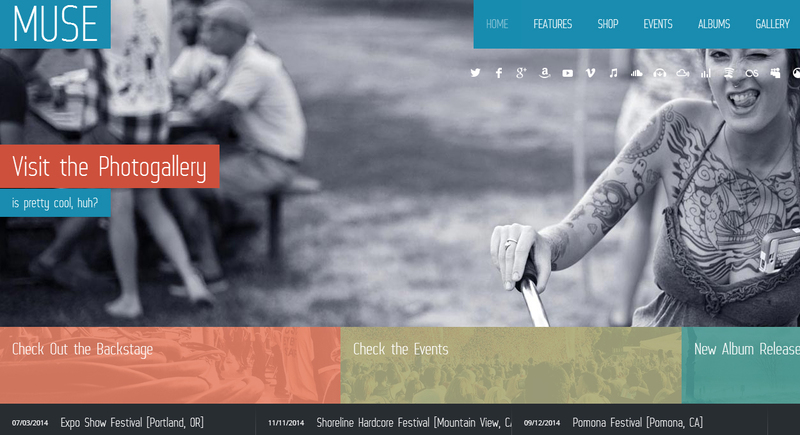 The theme has lots of color choices and is responsive for mobile devices. 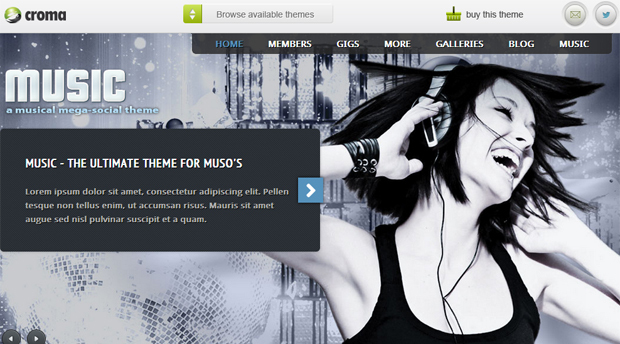 The Live theme is fluid and responsive, with special music plug-ins to make it easier to access music-related features. Three skins come with the theme which includes a grungy look and two others. A music player is also available to play band tracks direct from the home page. MusicPro is a dark theme with three different sliders to keep things interesting. 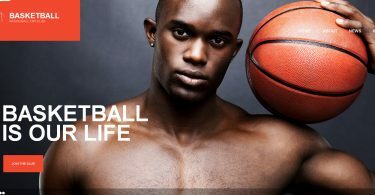 There are filterable photo and video galleries, so you can bring up the gallery you want. The latest Instagram photos and social media account updates can be wired in too. 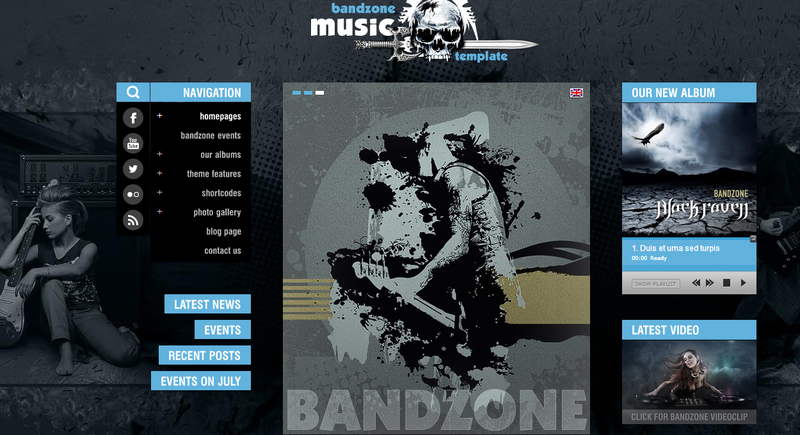 An extremely modern design is used for the BandZone theme, giving a band a great way to get known. 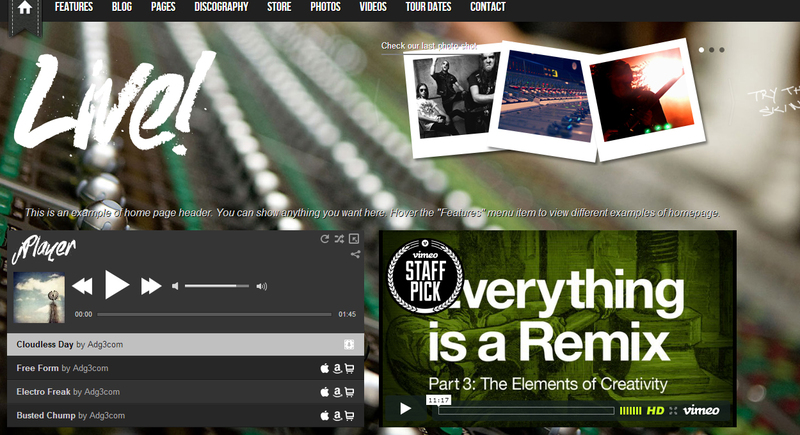 Video pages, custom music-related pages designed specifically for musicians make this theme ideal. 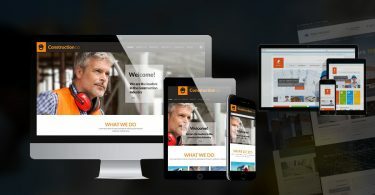 The responsive layout, the distinctive colors used and dramatic design make this theme very impactful. 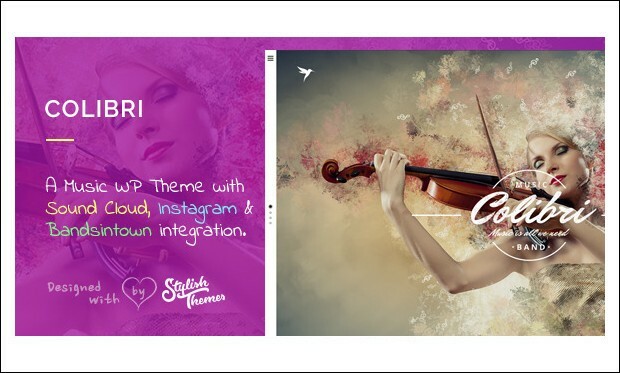 Full Events and Artist management features, audio player, ability to add lyrics and WooCommerce compatability for e-commerce sales, make this theme stand out from the pack. 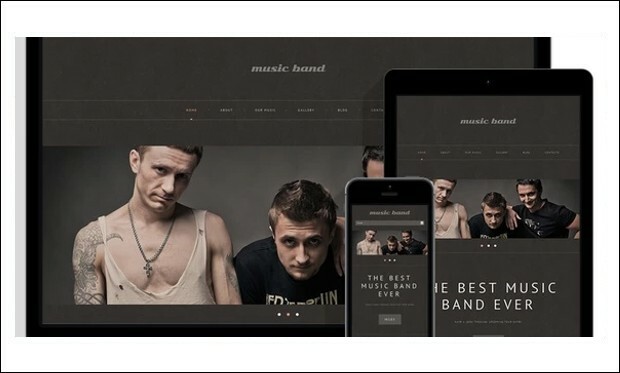 Want to add a store to your band site? WooCommerce is compatible here. 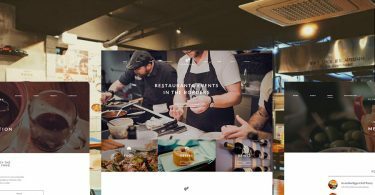 Different colored skins, over 500 fonts, the NivoSlider plug-in for slideshows and a Tour date management system make this a feature-packed theme. Rockit Now is a lively band theme with many working parts. 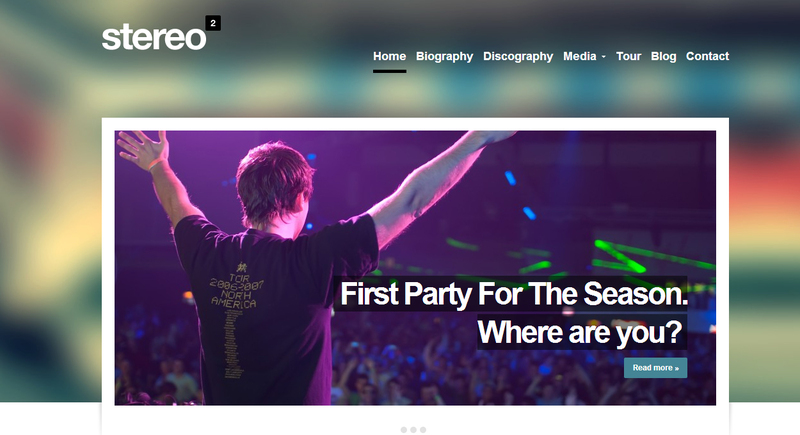 Social media integration, social sharing, Events manager, Album & Tracks manager and much more. There are 3 types of sliders available, a page builder and the theme has recently been updated to make it responsive too. SoundStage is dramatic with clear navigation, wide images and a upcoming gig, latest video and latest songs all shown on the home page. 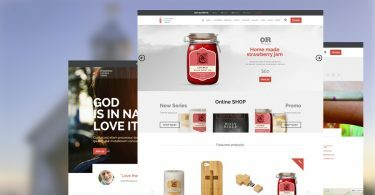 An online store can be easily included as the theme is WooCommerce ready and has a second e-commerce plug-in compatibility too. 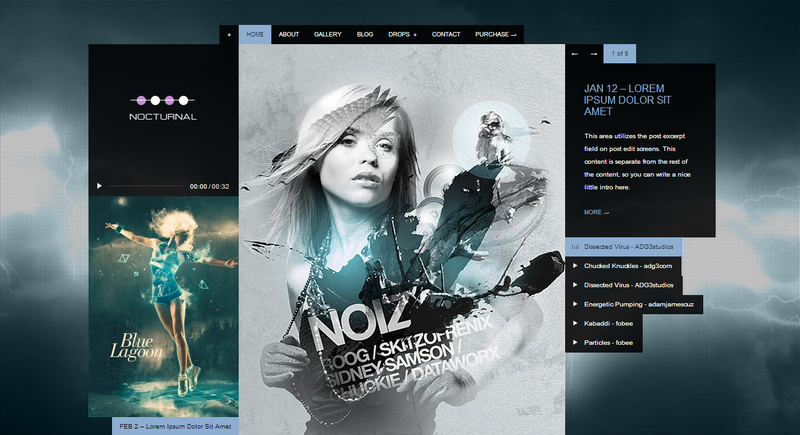 Nocturnal is an audio and video theme design which can be used by bands, nightclubs, etc. The design is extremely slick, and video & audio elements are included by default. Rock Palace is for happening bands that are going places. The responsive design includes the iOS slider slideshow and video sliders (good for concerts and live clips). There are four different home page layouts, 3 blog templates, 3 portfolio page layouts and more besides. 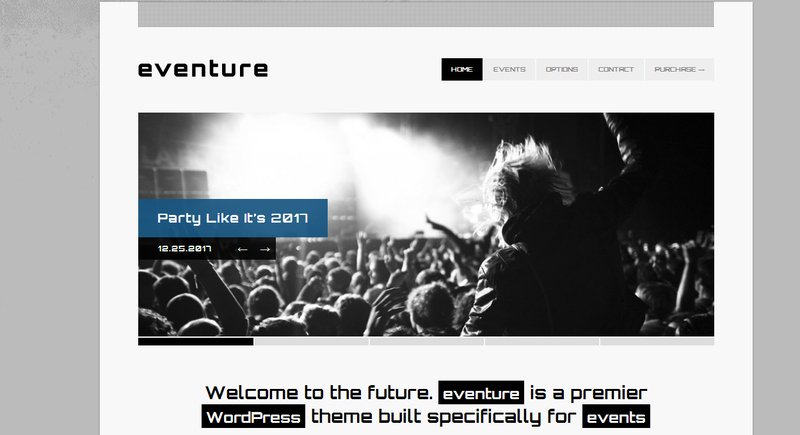 Eventure is an Events based theme that is ideal for busy bands that have upcoming gigs, recording dates, and so on. There are 15 different home page combinations that can be tried until you get the right one. A layout control and unique calender is included. The theme is also responsive for phones and tablets too. Rock4Life has some of the latest HTML5 features. Highly responsive with some really cool animations. There are unlimited skins, colors and custom widgets to mix things up. The image and video gallery is also filterable too. 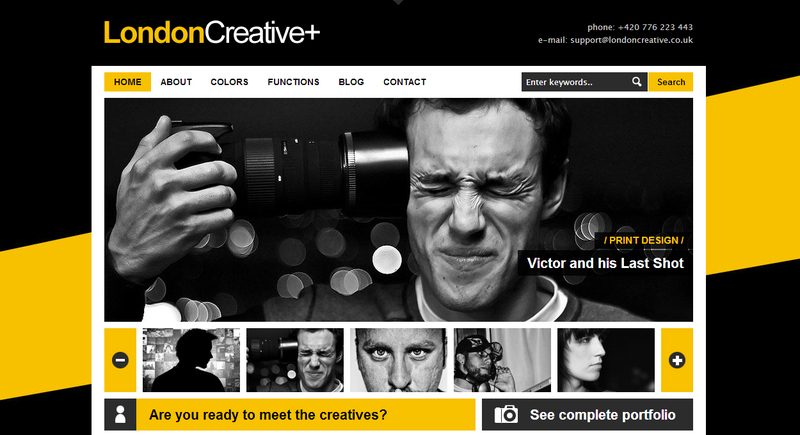 London Creative + has an automatic image slider to keep flipping the images while the page is displayed. The Infinity Drop & Down Menu and Menu Editor is included. 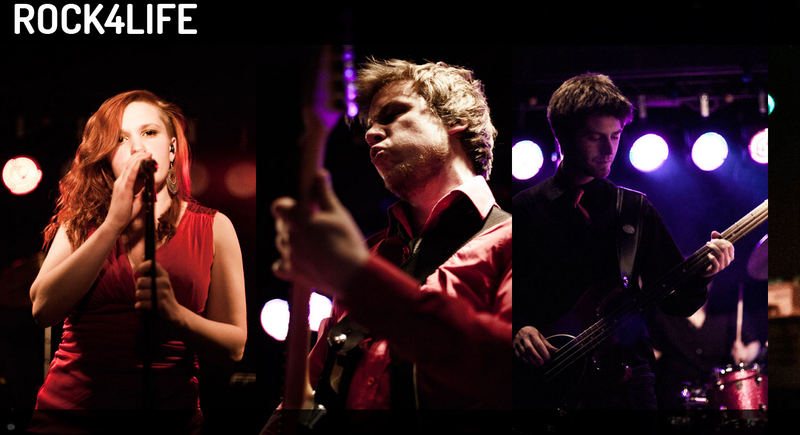 A skin color switcher can also be used to customize the look of the site to suit the style of music that the band plays. LA Band is ultra responsive and swathed in black, matching the look and feel of LA in the dead of night. However, there are 25 skins already created which can completely change the way the site looks. An attractive full width smart audio player is also included. Muse is quite delightful. It has a touchable slider and lightbox, so it is perfect for touch-sensitive devices and also Windows 8. Retina-ready with icons that scale beautifully, responsive for any mobile device and with albums, galleries and events management built-in. NitePop has album, track and artist management as standard. Events and Gallery management too. There is a pretty 3-level drop down menu system and the skins can be swapped out to morph the website into a choice of many different colors in seconds. Stereo Squared looks just lovely on an iPhone or a wide-screen display at home. With SoundCloud integration, the band’s music uploaded to SoundCloud can be listened to or bought easily. Update the tour schedule, change skin colors and add widgets to make the site your own. 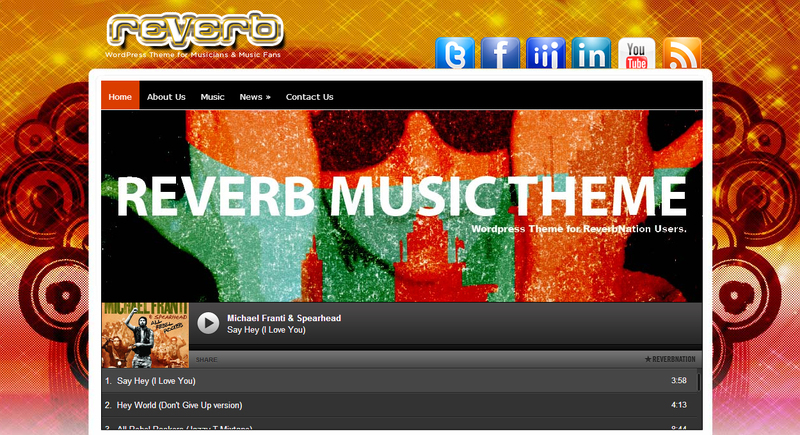 The Reverb colorful theme is ideal for bands with unusual sounding music. The boxed, wide placement music player with album artwork is a great way to share the music too. 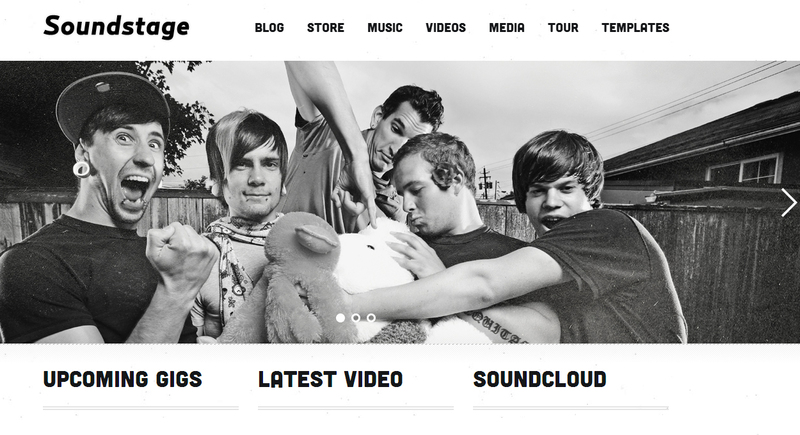 Social media icons, music videos, fan newsletter and recent posts are all here. 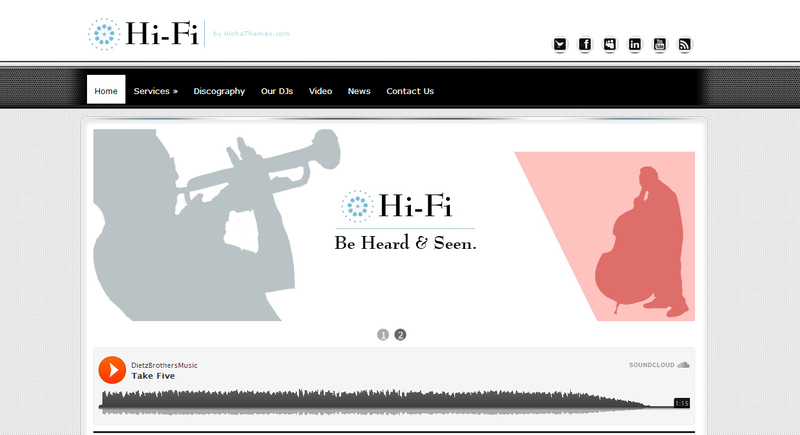 The Hi-Fi theme would be a good one for Jazz and Classical music bands that are looking for a more understated appearance, rather than the busy look that comes with most band themes. Image slider, music track playback, video playback and newsletter options are all included. Red Leather has a certain classic look to it that would suit retro bands that play classic hits and hate anything modern. A wide music player, videos, a slider all come as standard.